Covering an area of nearly 20 million square kilometers and with a population of around 640 million, the Latin America region represents a huge and varied market. For telcos operating in the Internet of Things (IoT) era, this gives it great potential. Yet, while technologies such as Smart Home, Smart City, Smart Health and Smart Cars are all gaining ground in Western Europe and North America, can the same be said about the LatAm region? The answer would have to be “not yet” – but that’s not to say that Latin America isn’t moving in the right direction. In recent years we’ve seen a shift in focus, from telecommunications as a business rooted firmly in connectivity to one in which cross-sector collaboration is playing an increasingly greater role. Telcos’ innovation departments are evolving into IoT departments, because there’s an understanding in the industry that verticals such as the automotive, health and other sectors are where the real money is to be made. 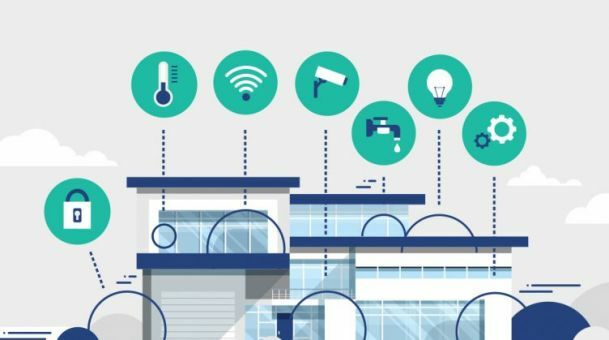 Additionally, there has been a shift in thinking that puts customers at the center of all telco operations, as organizations seek to understand and connect with their clients, and deliver precisely the IoT products and services that they require. Consider vending machines, which can detect low stock levels and connect with the vendor so that restocking happens automatically and efficiently. Even such relatively simple technology requires investment, but from whom? Telcos, vending machine owners, stock producers and logistics companies would all benefit from such a solution, but in the LatAm region there’s still a strong sense of competitive fear that prompts each to say “not our job”. LatAm telcos can also be rather more cautious than their “Western” counterparts. There is certainly great interest in developments in Europe and the USA, and Latin American CSPs are extremely keen to learn and integrate new ideas and processes. Being first to deliver a new technology to the regional market is valuable, but that cautious conservatism does favor duplicating established success rather than outright innovation. Then, there’s indecision about whether to focus on B2C or B2B markets. Some LatAm telcos look at the “one big win” potential of B2B, while others believe that delivering effective IoT services and products on a massive B2C market can help them win and maintain customers. Finally, legal frameworks and economics make the LatAm region interesting from the point of view of IoT development. There’s money to be spent, but generally speaking it’s not in the bank accounts of the man in the street. Regulatory conditions in different countries vary, but it could be said that the region generally has quite restrictive legislation protecting employees – making telcos wary of being too revolutionary when it comes to automating jobs, for example. Importantly, all of these factors are part of a lively and ongoing dialog about IoT development in Latin America. And it’s worth remembering that telcos in Western Europe and the USA aren’t dramatically ahead of their LatAm counterparts just yet. They have made certain progress partly because they don’t face the same restrictions and limitations outlined in this article, and Latin American telcos are themselves on the brink of finding ways around those challenges. Victoria has worked in the Latam market for more than 15 years, previously in the oil industry, and lately in the telco sector, where she is responsible for business development and project deployment in countries such as Chile, Argentina, Perú and Colombia.